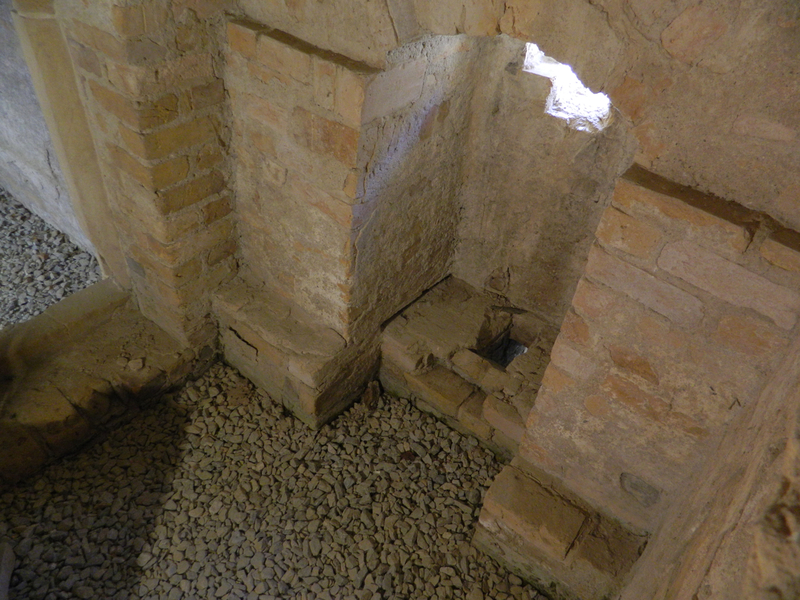 Luther’s latrine in the excavation behind the Luther House Museum (© Red Brick Parsonage, 2018). The effort at covering up the location in Johannes Aurifaber’s famous 1566 edition of Luther’s Table Talk, which has Luther concluding: “The Holy Spirit alone introduced this art to me” (emphasis mine). Such a cover-up would be unnecessary if Luther’s companions understood that he was referring to his study, where scholars will frequently try to locate his discovery. We know that Luther’s study was on the third floor of the tower (Brecht, 227). The latrine, as you can see from the pictures, was clearly not. 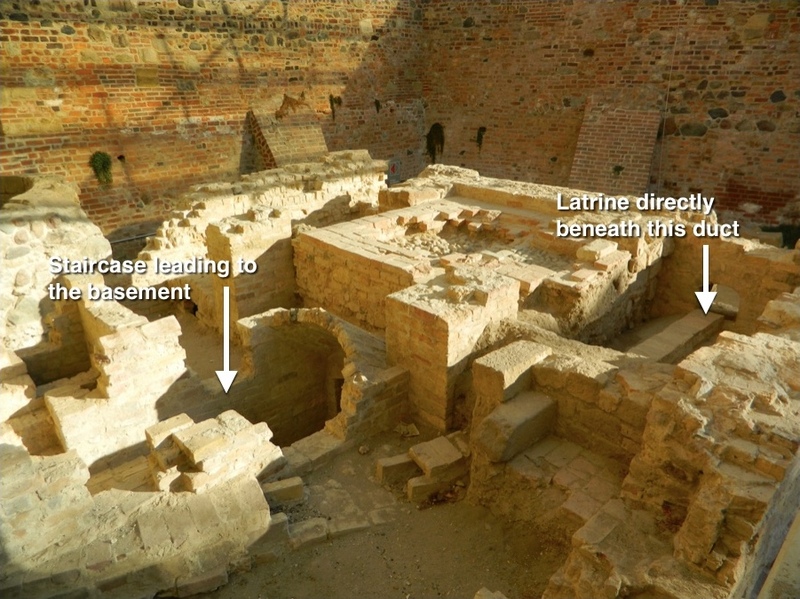 How could Luther and his conversational transcribers confuse the two, or use the basement latrine to refer to the entire tower, including Luther’s study? 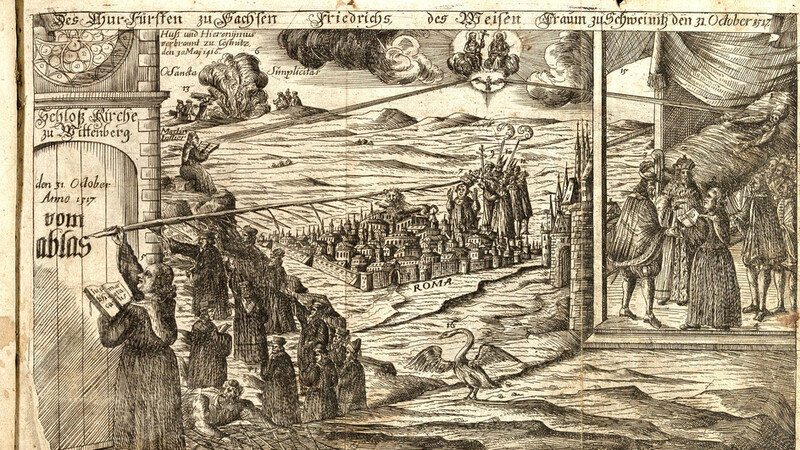 We can only verify that Luther used the tower as his study from 1522 onwards (info marker outside the excavation in 2013), but his epiphany most likely took place in early 1518 (some scholars date it earlier). In all of his descriptions of his epiphany, Luther never once says he was at his desk or reading; he always says he was speculating or meditating. 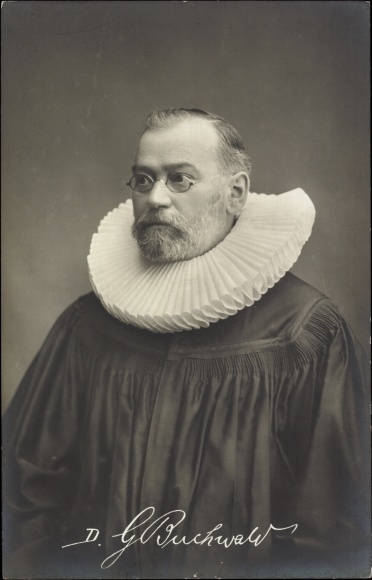 Many of course who are convinced that Luther’s famous discovery happened on the toilet, and who are not sympathetic to his reforms and teachings, love to make crude jokes about “the 95 Feces” and Luther going to discharge his waste and having something even worse come out, namely Lutheranism. Never mind all that. The Bible consistently testifies that the triune God’s modus operandi is to bring order and glory out of disorder and shame (creation, Judah and Tamar, crossing of the Red Sea, the Messiah’s birth, etc.) and to hide the truth behind weakness, shame, offense/scandal, and foolishness (Jesus’ choice of apostles, crucifixion, the means of grace, the theology of the cross, etc. ), so that only those who are earnestly and genuinely seeking the truth find and remain with the truth (Jeremiah 29:13; Matthew 5:6; 13:11-15). Luther’s tower discovery on the toilet, then, really isn’t all that surprising. If you want to find the truth, you often have to look in the least likely places, according to our natural human reason. And if you want to find the truth of the gospel in 1518, you have to look in the bathroom at a monk from an ordinary copper miner’s family performing one of life’s less attractive chores. If you care nothing for the truth, you will run away disgusted. But to those who love the truth, that bathroom is one of the most attractive places on earth. This scene, itself a recasting of an earlier one from 1617, depicts a later tradition (dating to 1591), supposedly related thirdhand, that, on the night before Martin Luther nailed his 95 Theses to the door of the Castle Church in Wittenberg, Elector Frederick the Wise had a dream which he related to his brother John the following morning. In the dream, a monk wrote something on the door of his Castle Church with a pen whose quill stretched all the way to Rome and threatened to knock the tiara from the pope’s head. On the evening of October 31, 1517, Martin Luther nailed his Theses on the Power and Efficacy of Indulgences on the door of the Castle Church in Wittenberg. Or did he? Philipp Melanchthon was the first to report on the posting of the theses as we commonly depict it, but he was not in Wittenberg in 1517 and he didn’t report on the posting of the theses until after Luther’s death. The closest report we get that may have been recorded during Luther’s lifetime is a handwritten note by Georg Rörer in a 1540 copy of the New Testament that was also used by Luther for making translation revisions, but that note says that Luther posted his theses on October 31 on the doors of both churches in Wittenberg. Plus, Rörer later wrote another note that matched Melanchthon’s information, apparently after he had read Melanchthon’s account. 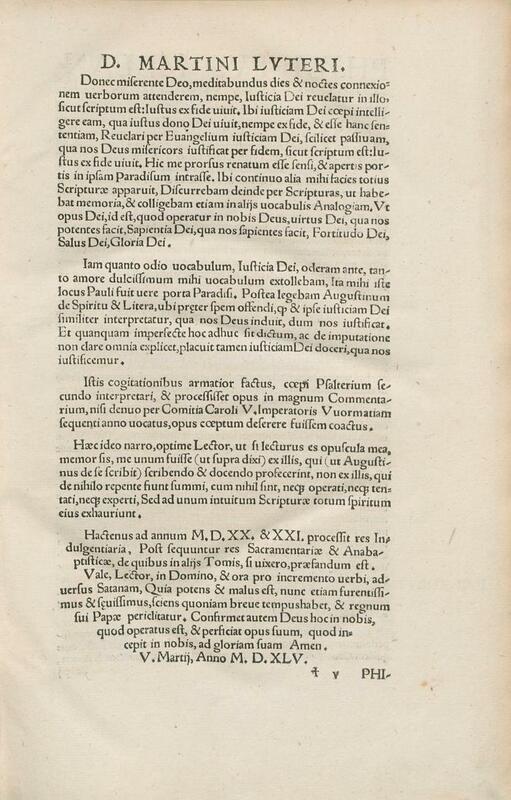 We do know that Luther included a copy of the theses with a letter to Archbishop Albrecht of Mainz on October 31, and that he himself reckoned the “treading underfoot” of indulgences from that day, but his own correspondence from 1518 strongly implies that he did not immediately make the theses public. Historian Martin Brecht suggests that Luther did not post the theses until perhaps the middle of November 1517. 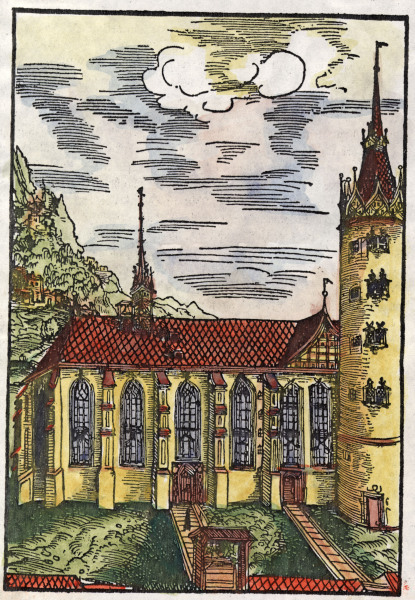 This woodcut of the Castle Church appeared in Das Wittenberger Heiltumsbuch of 1509, which depicted Elector Frederick the Wise’s extensive relic collection and was illustrated with numerous woodcuts by Lucas Cranach. In 1760 the Castle Church, including the wooden doors on which Luther had allegedly posted the theses, was destroyed by fire. In 1858 commemorative bronze doors inscribed with the original Latin theses were mounted where the old wooden doors stood.